I was going to watch Saw II and Kingdom of Heaven, but at this rate that's not going to happen. Don't waste your time with Kingdom of Heaven. That's ominous. Explain why I shouldn't waste three hours of my lifespan on Kingdom of Heaven? It's not historically accurate (surprise!). Still an absolutely beautiful piece of cinema, though, with one of the best soundtracks ever composed. Are you kidding? Yes, the historical inaccuracies (and that's putting it nicely; it's really historical revisionism) are bad and not really necessary for telling a good story, but the characters are 2 dimensional, the soundtrack is meh and the portrayal of Christians as nothing more than hypocrites and intolerant while the portrayal of their Muslim counterparts is sympathetic makes this more of a propaganda film than a pseudo-historical epic. While I believe that modern scholars' sympathy for Saladin and demonization of King Richard are a bit biased and unfair, the distinction between the way Richard treated his hostages and the way Saladin did cannot be ignored. There are times when Muslims are better Christians than we are... and those were it. Yeah, Saladin only treated christians with compassion when he was paid to do so. That's so much better. Heartbreaking, in places. I also highly recommend the book. Le passé. I was rather chuffed at the amount of French I can still understand. Just the short film previews in the main commercials. Angel's Isle- (English subs) Предел Ангела Bolshevik assassin turned monk on Valaam. I like both movies quite a bit: but am I he only one who thinks American in Paris is better than Singing in The Rain? I guess Singing in the Rain has a better plot, but that really isn't the most important thing for the genre. 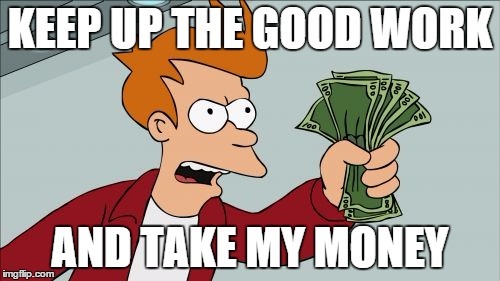 Rumor is a new Bill and Ted flick is in the works. Make of that what you will. I did go see Lego Batman with the kids...so many jokes they couldn't possibly get! Not too bad of a lesson either. There should be a statute of limitations so that sequels can only be made within 7 years of the original. Is the entire original case (sans George Carlin, of course) set to come back? Keanu definitely, he's the one that let the news out, and the other guy I think is also back, not sure about anyone else (like the girlfriends). Apparently the plot is that they're middle aged and married and have kids, and their life isn't that great, and they've been procrastinating writing a song that must be written to save the universe. I guess the script is written or being written, and the right people are on board, but it's not 100% certain because not all the legal stuff (rights, permissions) is done yet. I think the world is finally ready for Spice World 2. I saw The Book of Eli yesterday. I wonder if it is a coincidence that the name of Jesus Christ wasn't mentioned once. Pretty strange for a movie about the Bible. Bridge of Spies was pretty good. A Cure for Wellness. Creepy, creepy, creepy. "Eli" means "my God" in Hebrew. Thomas called Jesus "my God", John 20:28. 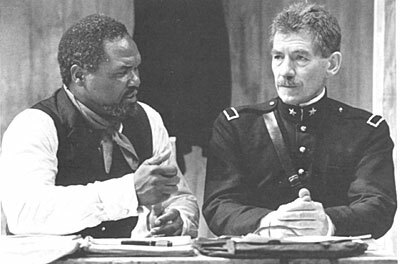 "Othello" with Ian McKellen. Older, but a really good production. It's not really about the Bible. Not specifically - you are quite right. SPOILER ALERT! In fact, it's not until the end that the book is identified. So I don't find it strange that there is nothing overtly Christian about the movie. But of course, at the end when it all comes together, the story makes sense as an allegory, and one that I found quite compelling. Going to see 'Rock Dog' tonight. Finally watched Five Elements Ninjas. That was... insane. And wonderful. Thanks for the recommendation, Antonious Nikolaos. I've just watched Kong:Skull Island. It's a really good movie and actually has positive Christian morals about caring for the environment. That movie also has a great plot. But the this upcoming Friday, as some of you guys know, Disney's new Beauty and the Beast movie is coming out and many Christians, like Franklin Graham, have token a stand against this movie because of a gay character and a homosexual relationship being portrayed in the movie. In Russia, Orthodox Christian government officials have asked the Russian government to ban the movie. Back in the States, there was even a Christian run drive in movie theater in Alabama that boldly said that they will not show the movie. Disney has been remaking classics to promote new progressive agenda. So, I am not going to see the Beauty and the Beast. Well now. I was expecting more drugs and violence and not cheesy gay drama but it was pretty good. It was nice to see all-Black cast. I don't think I've even seen any movies like that before. I love people getting their noses out of joint over a hint towards a homosexual relationship in a story that is all about interspecies romance. Bless. Walt Disney must be spinning in his grave right now. I saw Ghost in the Shell. A bit confusing, but I liked it. Was it worth the $9 plus concession fees?